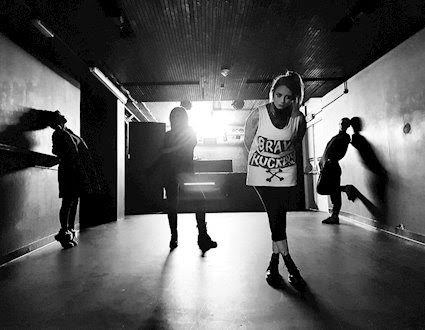 COURTESANS CONFIRMED FOR KING 810 UK DATES. London doom-pop band Courtesans have announced they’ll be joining King 810 on their UK tour in February. 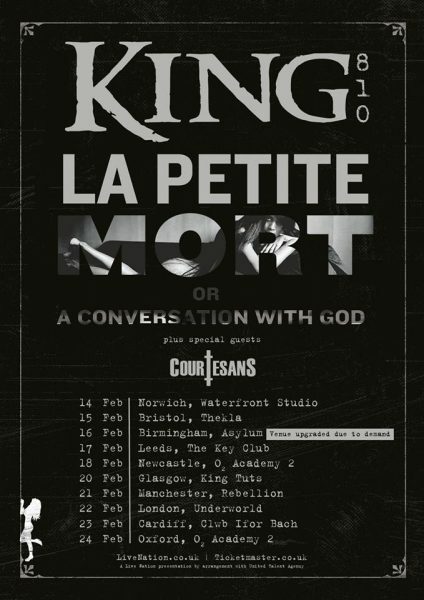 Courtesans have confirmed they will be special guests to the Flint, Michigan alternative metal group KING 810 on all 10 UK dates of their ‘La Petite Mort or a ‘Conversation with God‘ tour. “King 810 are one of not many bands around who embrace the idea of transcending genres. We feel we follow the same non-conformist and somewhat experimental path which in theory makes us a positive match. What we do have in common is the musical and lyrical darkness that comes from our genuine life experiences. We are very much looking forward to immersing ourselves in moral and philosophical tar with King 810.” – Sinead, Saffire, Agnes, and Vikki (Courtesans). Fellow “ones to watch” UK alt-metal group Death Blooms have been confirmed as support for Birmingham, Manchester, and London shows.